Amazing to me that we have in the words of Scripture of the New Testament a promise that each of us can see as the Word of God that directly impacts each of us which actually extends from a Promise God made to Abraham in the Old Testament. We have indeed been Blessed!!! 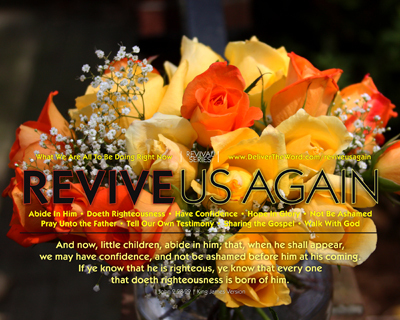 There is POWER in the Blood of the Lamb – Our Saviour Jesus Christ. 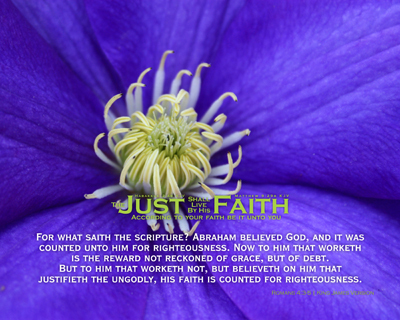 It is amazing how this study of two words “just” and “faith” presented SUCH a wonderful look at Abraham from the Old Testament and the Promise made to him, along with just HOW God provided from those before Christ was their substitute. From the first of these Scripture discoveries to the final one, we are reminded that the Gospel is for EVERYONE not just a select few. We need to be busy sharing Him with everyone we cross paths with and those we influence! This is an UPDATE to a Series entitled “The Just Shall Live By Faith” or “Just Faith” for short. 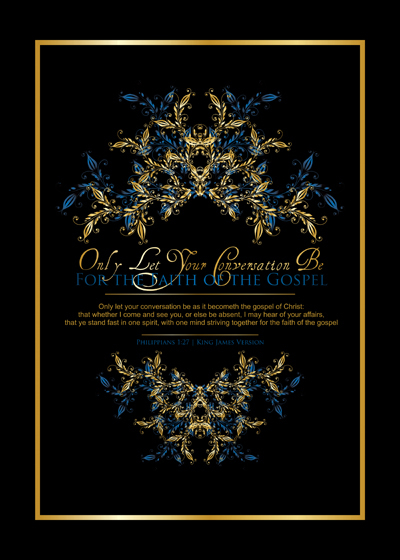 An additional twelve (12) designs have been added to this Special Series to a set of INCREDIBLE friends David and Cynthia Groff. It was VERY difficult to pick just one image to represent this set and for those who will venture to the site, you will quickly find out why! This print has a declaration included which is one sought out myself, indeed is His Mercy Great towards me… It is the LORD I am seeking. That is the question that has to be asked – for the answer comes from deep within us and no one else can answer that question for us individually. It must be a realization that something is wrong in our own lives and something wrong with our loves. 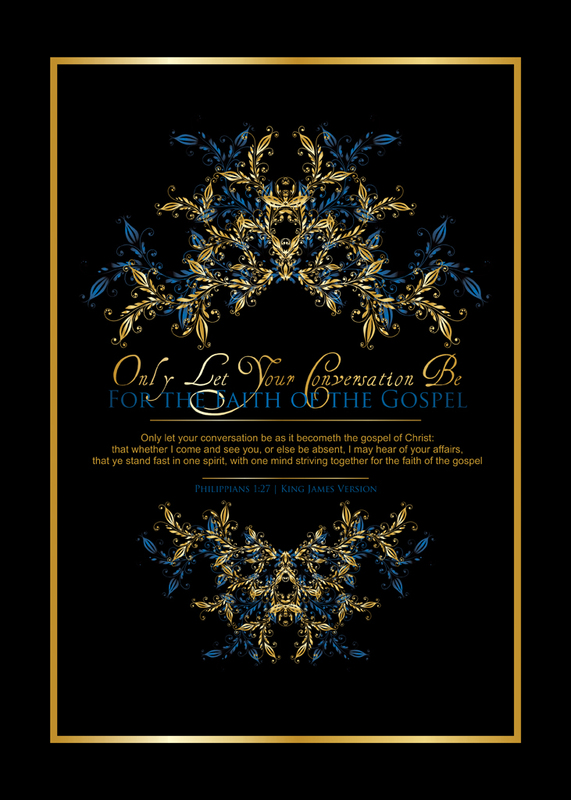 It is my sincere hope that these bold prints will both show off God’s Handiwork and draw folks attention to His Word presented on each one. WILL we not only MAKE the Circle, but ALSO Ask God to Convert Everybody Inside that Circle — and KEEP Converting until we STAY Beside HIM? This Chronicle is going to be extremely personal for me, as the very first Series presented has a brief personal testimony included which only a few people know more than what is presented. Believe me, it is not a draw at sympathy, but utterly a testimony to God’s goodness to me and what He has allowed me to accomplish for HIM! The second and third Series to be shared are more abstract in nature, which will require some imagination to “see” what is in them, one of them being red w/gold and the other blue w/gold. Each of them dealing with Faith, our Faith as Believers. All are incredible reminders to us of the Power contained in the Covers of God’s Holy Word which have been provided to us such that we might learn to lean ever more upon Him! This has to be one of the most exciting Series developments created in a number of months, but it will most likely be a totally different reason than most would think. These images are bright, visually appealing and are harmoniously coordinated. So what is SO different? Quite simply looks! 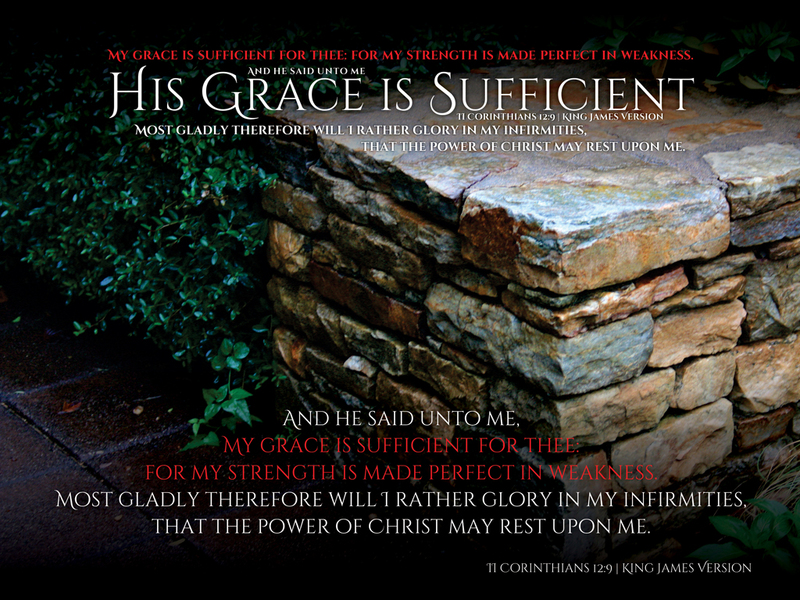 The Apostle Paul had to realize that “His Grace is Sufficient” because when he was himself at the weakest, the Lord Jesus’ would be made Perfect. He had a sincere desire for the Power of Christ to rest upon him, such that there would be NO question as to WHO was his source of Power! Even through his asking to have the “thorn in the flesh” removed three times (thrice), his answer was clear from the Lord in that His Strength is Made Perfect in Weakness. Have we taken an inventory of our lives to see whether we “gladly rather glory in our infirmities” instead of using them as the stop-gap excuse to stop us from serving Him? If you have just happened upon this Series – dig in, grab hold and hang on – if YOU will allow it, the Holy Spirit will change you because NONE of these people who wrote these verses under direct Inspiration of God were perfect people. Each of them had to have FAITH to see past the Scripture placed before them, because of the weakness THEY already KNEW was so. For those who are familiar with the Series presentation — STOP — right where you are, put your gear in park for a moment. See yourself in the mirror before viewing the next list of print titles. Each of these has an imperfect person who wrote them, as human writers of God’s Word, right where they found themselves. Not a person, would be my educated guess, will be able to say they have mastered all of these… How would “I” know that??? Simply because there was a meteor shower which showed itself forward by means of Holy Spirit conviction during the development of this Series. This first image is the cornerstone at the entrance of a garden style gazebo at the Arboretum. It provided the perfect intro image for the Series in that it is constructed of stone much in the same manner that altars were built in the Old Testament. As many times as we pray, we need to have that altar mentality, that understanding of the place where we are and what the Lord Jesus Christ means to us as Christians. 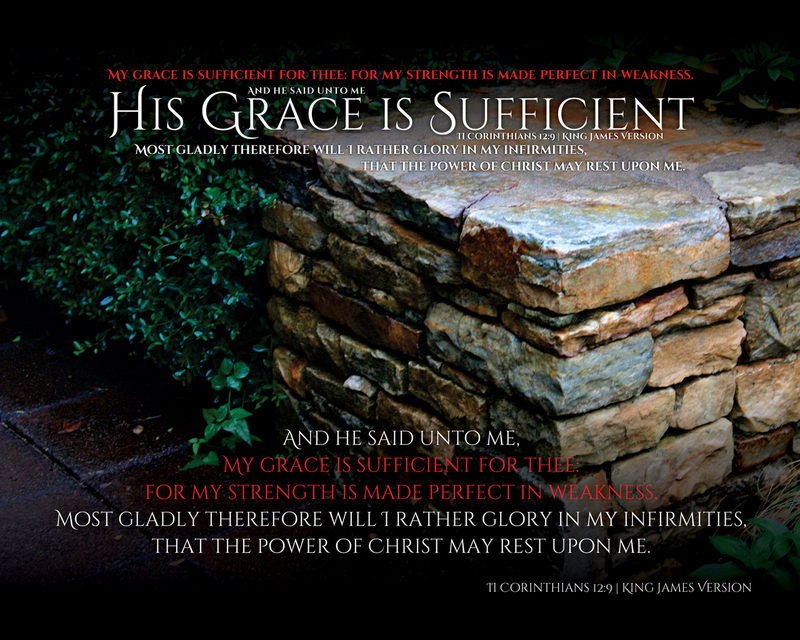 His Grace and Mercy are Sufficient, sometimes we just have to discover how it is that way. Come May 8th, 2013, at the current pace of things, I’ll have had 10 years of constant pain with only brief periods without pain over a 6 in a scale of 1 to 10, the longest being 15 months and 1 week. Much of that time, even with pain arresting drugs and steroid use, the daily rattle is somewhere between 7 and 8.5 for 45 minutes to several hours at a time – over and over and over again, all day long. Even with severe pain management treatments, the pain never goes away and the seizures don’t totally stop. NOTICE: I’m STILL putting one word at a time down in Series like this one, taking one step after another, keeping my head in the Bible with hours of study per day, joyously enjoying Gospel music every moment possible AND work 8-10 hours per day at a work-a-day job, consult at least one night a week, am FAITHFUL to MY CHURCH, teach an INCREDIBLE 3rd Grade Bus Sunday School Class, plus — am married to an AWESOME wife who does everything better than me, well besides computer work and talking and have a 15 year old young lady who is a REAL teenager, who is the Apple of two fellas eyes – mine and my Grandfather’s! DID you see how that ALL ran together??? HOW does all that happen? — HIS GRACE IS SUFFICIENT! — that’s how! 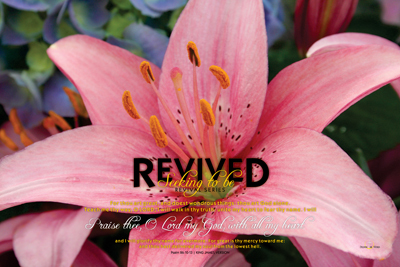 Two verses of Scripture come to mind when thinking about what God has been GOOD to me in and through: John 8:12 (My Life Verse) | KJV and James 4:10 (my Revival Life Verse) | KJV. There are a special group of men who KNOW how that second verse came about – it CHANGED my life, which is what drives me today for what you are seeing right now. Beginning with the Series verse of Scripture in II Corinthians 12:9 | KJV, the story presented is one of triumph and overcoming – hence the use of roses with blemishes here and there, for that is a symbol of our own lives, yours and mine. This Series is filled with promises, declarations and Encouragement by presenting a short study on a tall subject – how His Grace is indeed Sufficient for each one of us. This VERY thought provoking and soul-stirring sermon preached by our Pastor Tim Rabon is one for the record books – not because he preached it mind you, but rather because he was willing to be used of Almighty God to deliver it to the people of our Church! Going into our Vision Night service, it gave opportunity for us to be challenged right where each of us really are – how we should earnestly contend for the Faith, For the Faith of the Gospel! 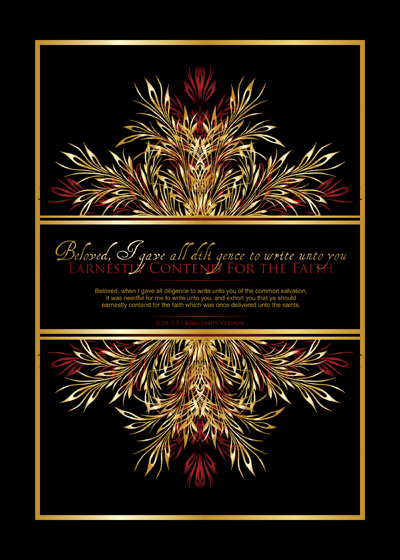 There are four (4) prints for each set – giving us an incredible look at the SAME verse in 4 different manners! They are intentionally ornate, from the use of three typefaces which flow together, rich colors of gold and blues, along with deep black backgrounds to contrast the boldly presented gold frames. The background color was chosen as an ultimate get your attention mechanism with the use of a virtually unlimited depth of the literally hundreds of transparency fills used on each pieces of the artwork, giving a sense of boldness to each one. While there are only four (4) images, there are also 3 different color/formats available, upping the availability to twelve (12). 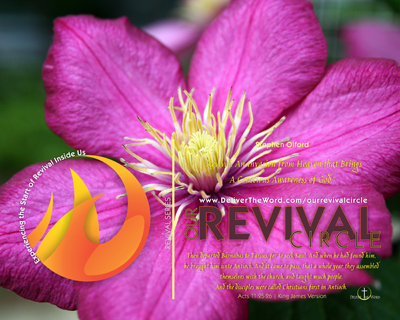 Two of those sets of designs is portrait in orientation and the final one is landscape in orientation, which is the normal design layout for Series on DeliverTheWord.com. This sister series is a follow up on a VERY thought provoking and soul-stirring sermon preached by our Pastor Tim Rabon is one for the record books – not because he preached it mind you, but rather because he was willing to be used of Almighty God to deliver it to the people of our Church! Going into our Vision Night service, it gave opportunity for us to be challenged right where each of us really are – how we should earnestly contend for the Faith! 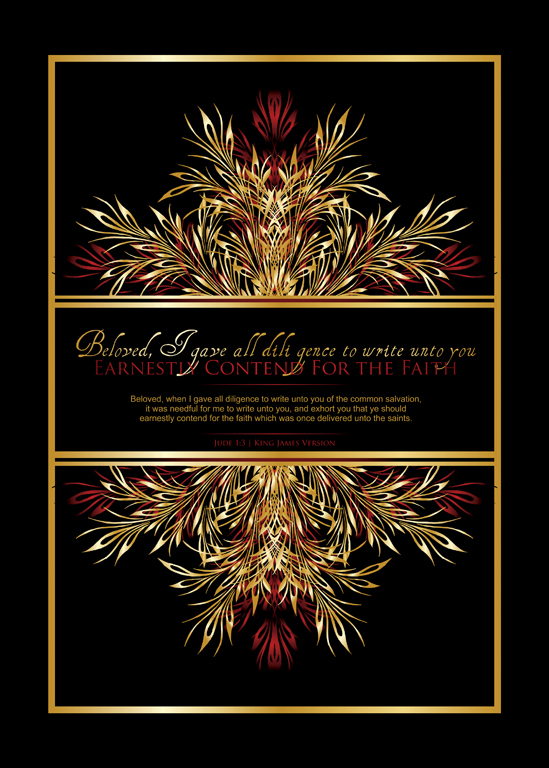 They are intentionally ornate, from the use of three typefaces which flow together, rich colors of gold and reds, along with deep black backgrounds to contrast the boldly presented gold frames. The background color was chosen as an ultimate get your attention mechanism with the use of a virtually unlimited depth of the literally hundreds of transparency fills used on each pieces of the artwork, giving a sense of boldness to each one.